Eastern Ontario, stretching from Port Hope in the west to Algonquin Park in the north and the Quebec border in the east is, along with the Niagara region, the oldest settled area of Ontario. In spite of this, eastern Ontario is a very rural part of the province, featuring mostly small towns with small apartment markets. 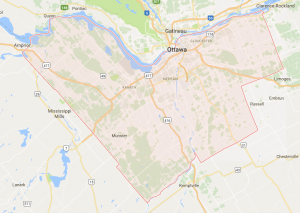 The exception, of course, is the City of Ottawa, Canada’s capital, and the second largest city in Ontario. A major jobs centre and growth destination, it’s no surprise the city boasts a considerable and active apartment market, but the prospects do not stop there. Eastern Ontario is far from the influence of the Greater Toronto Area. A number of the small towns, such as Peterborough and Belleville, have long histories and have themselves been administrative and industrial centres in their region. This is especially the case in Kingston, which has a strong apartment market thanks to its established centre, and the presence of a major university and Canadian Forces base. Most of the markets in eastern Ontario are stable, with good average rents and moderate-to-low vacancies. Ottawa leads the pack, here, as a historically strong market with a solid base of institutional and public sector jobs, and a growing influence in the tech sector. Ottawa, Canada’s capital and the largest city in eastern Ontario, has been seen as recession proof. Its large public sector has buffered the city against economic downturns in the past. Ottawa’s status as the nation’s capital makes it a unique apartment market. The presence of international diplomats and many other officials visiting the city for a few months out of the year have given the city a big market in furnished apartments, as well as in short-term rentals. When the world looks for a safe place to invest, Ottawa is a standout. But Ottawa has become more than just a government town. The burgeoning tech sector has contributed a great variety of jobs and has led to the revitalization of many inner city neighbourhoods as well as the construction of new suburbs. In the past five years, Ottawa added 11 new buildings comprising 1,682 units to the city’s rental stock (balanced by pullback through redevelopment). The city has one of the highest concentrations of apartments in the province. The city’s growth is expected to continue in the coming decades, and Ottawa’s city council is pursuing a policy of urban intensification, including a revived LRT project, that should increase demand for new rental housing. Other good news in the employment market includes the Department of National Defence purchasing the former Nortel Campus. Ottawa is clean, safe and stable, showing good population growth and income growth that will support a large and growing apartment market well into the future. The Ottawa market will continue to offer a safe place to invest, with good population and income growth, and strength in the government and tech sectors. Excellent repositioning opportunities exist in the core. Capitalization rates will meet or exceed those in the Greater Toronto Area. Excellent and improving public transportation on main routes will continue to aid rentals. Excellent repositioning opportunities exist in the city’s core and selected suburban areas. Universities and college will create strong demand for student friendly rental housing. Neighbourhoods in the west end are improving but rents are still value priced.